As a naturally dark brunette taking the plunge to go blonde was something I thought long and hard about. Whilst I say blonde, what I really mean is Balayage. If you've followed my blog or Instagram for a while now then you'll know that going a lot lighter has been a gradual transition for me. With that said, the process of lightening my hair has involved using bleach which as you can imagine can be very damaging. Whilst balayage is not a massive up keep (I only have to have it done twice a year max) compared to highlights any form of bleach is still going to be damaging, particularly on the ends and especially when I have naturally curly hair which is generally drier anyways. 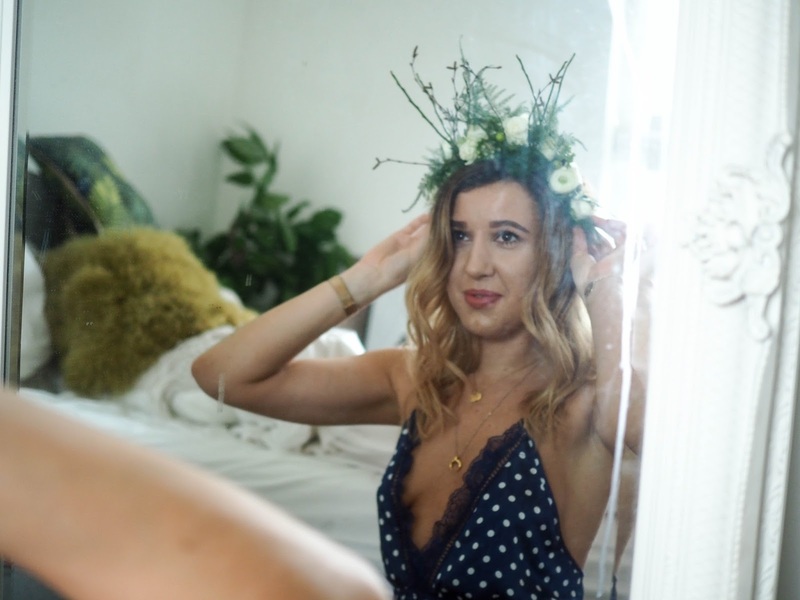 That with the fact that I use quite a bit of heat on my hair (I am a fan of the curling tong) means that my hair at the best of times is in need of some TLC. Over the past year or so I've really been conscious about the types of products I use on my hair especially with hair care being such a big part of my life, reluctancy or not. I look specifically at ingredients and favour hair care that is going to nourish and repair damaged hair, keeping it in the best condition possible. For years, I used to just pick up whatever was on offer at Boots or which smelt the nicest which used to send my hairdresser into a state of frenzy. 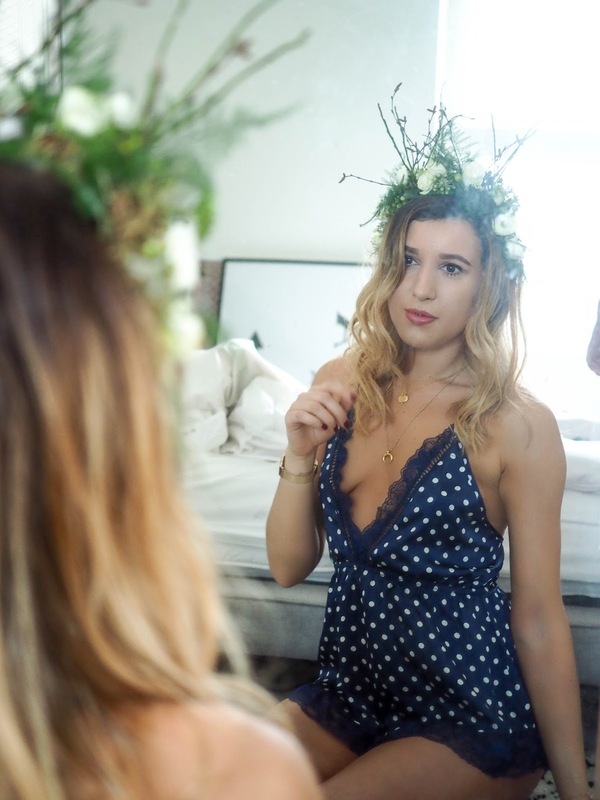 As part of this collaboration with Paul Mitchell, they organised a fresh flower crown to be sent to me (you may have wondered why I'm sat in front of a mirror with a floral crown on my head) to mark the start of spring which can often signify a new haircare routine. 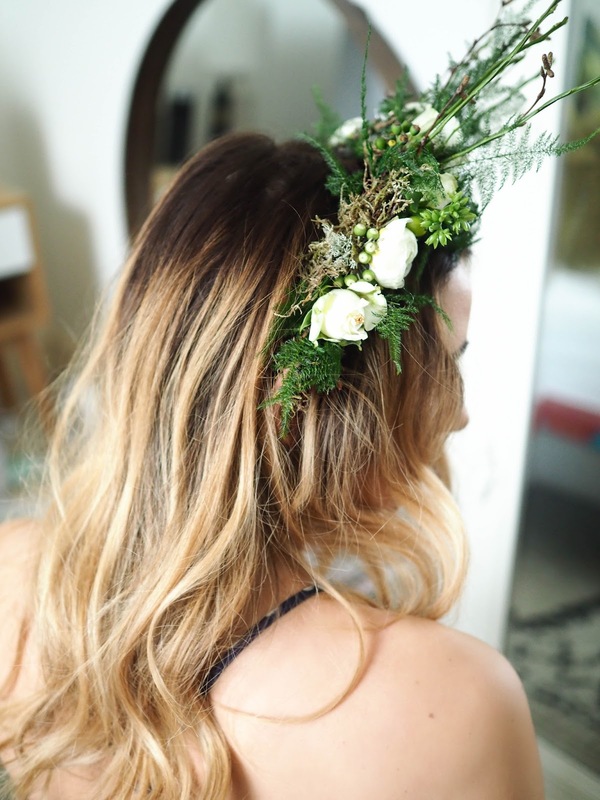 This floral crown also represents the floral notes found in these natural Forever Blonde products which help to keep my hair feeling nourished which might not necessarily be found in cheaper/drugstore products. The Paul Mitchell range I have been trying out over the past few weeks is Forever Blonde. Ideal for bleached and highly lifted hair like mine, the four-part Forever Blonde system gives fragile blonde hair the moisture and strength it needs with added shine. Who doesn't love all of these, especially the latter. If anything is going to give me hair worthy of a L'Oréal 'your worth it' advert then naturally I'm all eyes and ears. The four part system contains Safflower, Macadamia nut oil, Turmeric and Lemon Peel with fragrance notes of Chamomile, Turmeric and Macadamia Nut. Whilst I'm not the greatest at describing scents what I will say is everything in this set (Forever Blonde shampoo, Platinum Blonde Shampoo, Forever Blonde Conditioner and Forever Blonde Dramatic Repair) smells incredible. Other useful points to note is they're also colour safe, paraben free and cruelty free too. As mentioned above, I've definitely become more conscious about the ingredients behind my shampoo and conditioner bottles, favouring more natural ingredients that will essentially help my hair. Since using this Forever Blonde set what I will say it that I've noticed my overall colour is more vibrant and generally less brassy (you know that sometimes yellowish tone you get in your hair) which is definitely reason why I will continue using these forever blonde products over the next few months. The forever blonde dramatic repair spray which I apply after my heat protector before blow drying it makes my natural curls less frizzy and leaves my overall hair feeling silky smooth and girls who doesn't love that. Whilst this Paul Mitchell haircare range might be sightly more expensive than your average drugstore products, when it comes to haircare I am definitely a firm believer in getting what you pay for. Averaging at around £16 per bottle (200-250ml), after using all of these products for a good few weeks now I can hand on heart say that I would 100% recommend them to anyone who has dyed blonde hair. As mentioned above this is mainly due to the vibrancy it brings to my colour but also for the shine, scent and smooth texture it leaves to my hair. You can shop the full range below. This post was in collaboration with Paul Mitchell. All words, photography and styling are my own. wow darling you look amazing beautifull hot,love your dress..